Canada Post was crazy fast this month! I got my shipping notification after work and my Topbox was waiting for me when I got home the next day! I can’t say the same for me, though… The August wishlist just came out and I’m still finishing this review! Oops. I randomly picked off some choices, but I also picked the regular box, so it’ll be fun to see what I get next month. 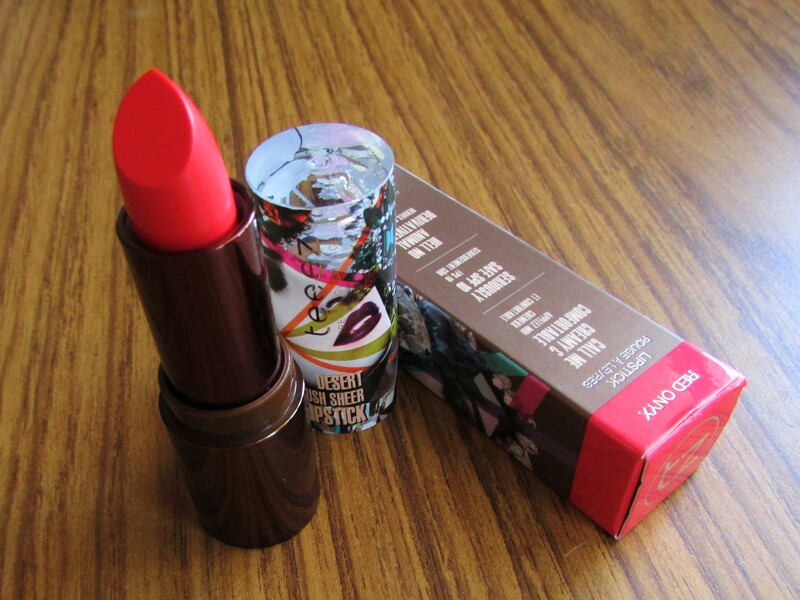 This month, I wished for a Benefit Prive Box and actually got it! Whoa. I also grabbed a $10 add-on. 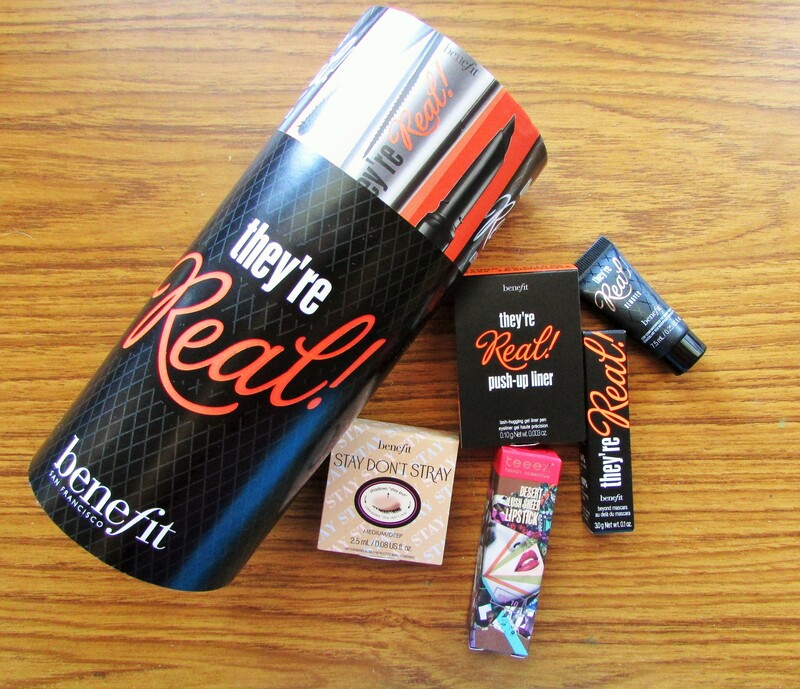 Let’s see what’s in the July Benefit Topbox! 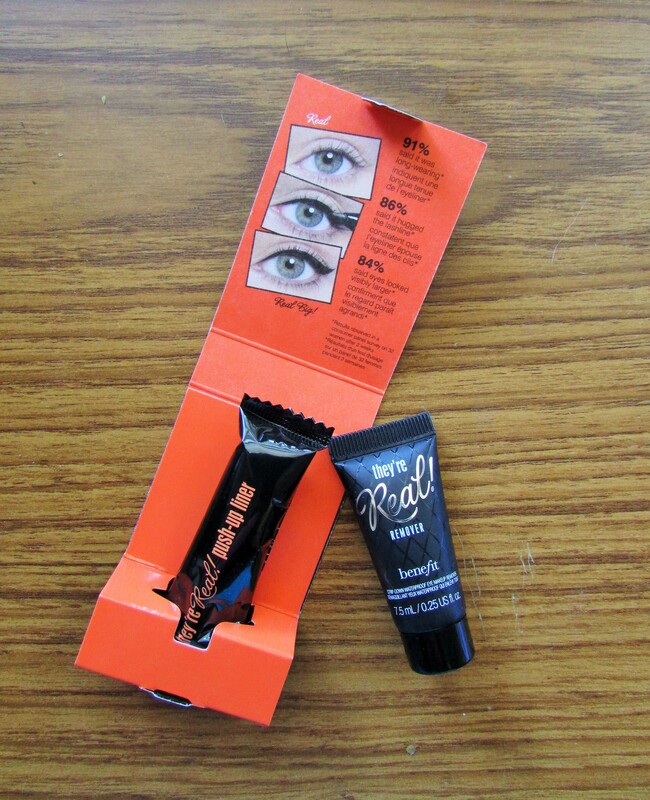 They’re pretty small samples, but I’ve noticed that Benefit’s really scaled back their sample sizes in the past year or so. I do like how there’s almost a whole makeover kit in my box this month! I kind of lost the listing card, though! Sorry! The They’re Real! Mascara is probably their most well known product on the market aside from the Porefessional and Benetint lip and cheek stain. 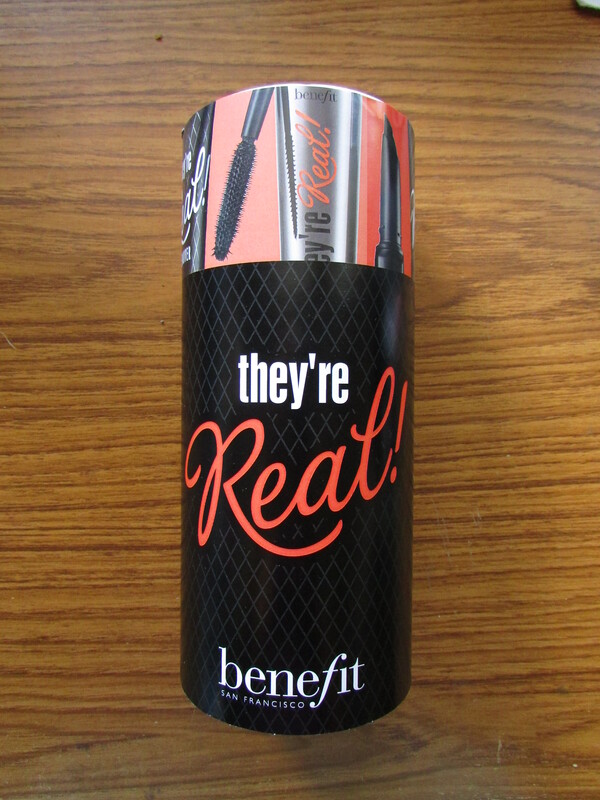 Everyone from their next door neighbour to their grandma raves about this mascara but I actually don’t like it! I know, it’s so strange! I think the wand bristles are too stiff for my spindly little eyelashes and I always end up poking myself in the eye. The formula doesn’t seem to be anything remarkably special, either. It’s a good thing that they sent out medium/dark shades because I’m definitely not pale! I never had a problem with my Too Faced eyeshadow primer, but I do want to see how dark this shade is and if it’ll work with my melt-prone concealer. It looks shimmery in the picture, but it’s actually completely matte! I actually thought for a split second that they sent us a Benefit-branded tampon! Oh gosh. They probably put it in the sleeve wrapping because the actual sample is super thin and doesn’t fit in the paper wrapping at all! I’m not a fan of extraneous packaging, so the tampon packing inside a cardboard boxette seemed completely useless to me. So, apparently, this doesn’t even use the same type of push-up method as the full sized product and you have to squeeze the tubing to get the gel out and apply it to your lash line like that. I tried it out on my hand and I gotta say… I am so not impressed. The gel is super thick and heavy and, since a tiny bit goes a very long way, it’s VERY easy to get panda eyes if you’re not careful with the Push-Up Liner. At least it really stays put! The plastic tip is absolutely brilliant for doing a wingtip, though! Too bad the formula reminds me of the old charcoal pencils I used in art class. If you can’t tell, I’ve already used some of it before I got a chance to do this review. The makeup remover itself is a little creamy and gel-like, which was a little strange for me since I always use a solution or a dual-phase! But, I really like this one because it’s so effective and took off my waterproof mascara and liquid eyeliner without any problems AT ALL. The only thing is that I don’t like using makeup remover just for eyes anymore, so I hope Benefit comes out with a similar formula for the whole face! I have NO idea where you might be able to get this in Canada! It’s a European company based in the Netherlands and it’s pretty damn awesome. The packaging is so eye catching! 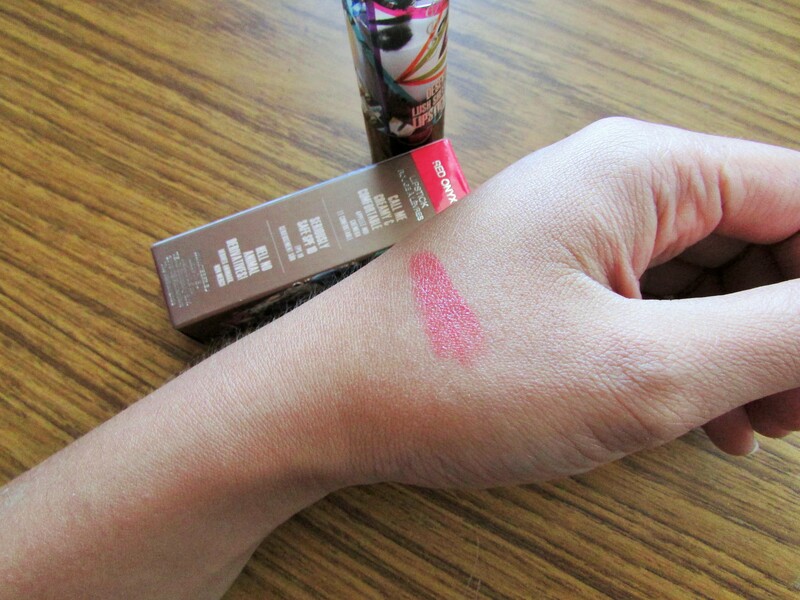 The lipstick is so creamy and it’s even vegan (as far as I can tell from their claims and glancing over the ingredient) with SPF10! It’s super sheer, so it’s great for a milder look or for everyday wear, but I can definitely see that it’ll be outstanding with a bit of matte lip liner underneath for evening! Verdict: 4/5 – I finally got a prive box! Yay! But, I don’t like two of the samples Benefit chose to put in and the other two were either meh or AMAZING. The add-on was really nice for me and I would definitely try my luck with another one soon! Did you get the July Topbox? What did you think of it?